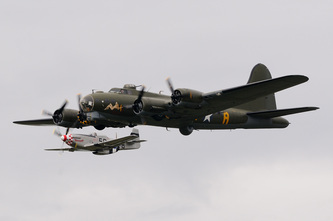 From 1942 until the end of the aerial bombing offensive against the Third Reich in April 1945, the B-17 Flying Fortress along with its sister, the B-24 Liberator, carried the day light bombing offensive to the heart of the Third Reich. Flying in daylight often without fighter support, casualties were heavy through the campaign with 79,000 aircrew being lost. So as a fitting tribute to these brave airmen, Boeing B-17G Flying Fortress - Sally B, is flown as a memorial at airshows all over the UK and Europe. 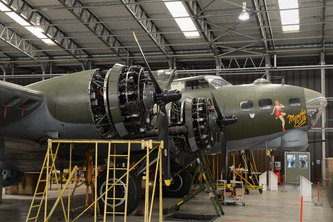 Sally B was built as B-17G at the Lockheed-Vega plant located in Burbank California. 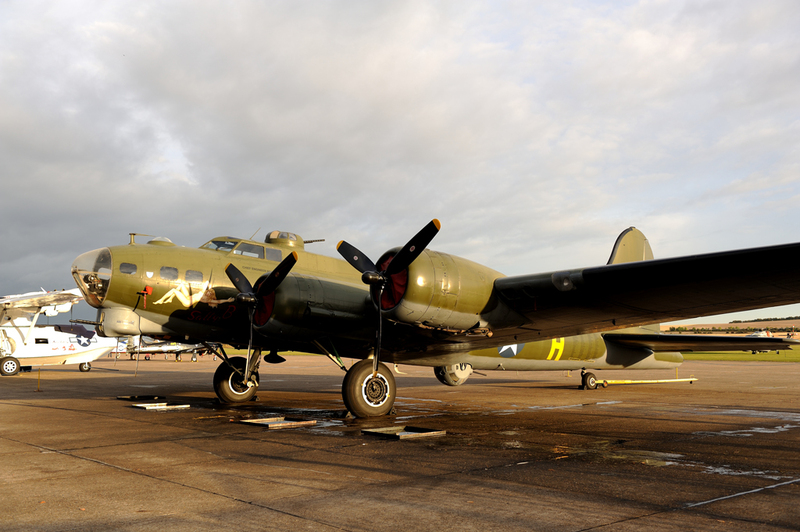 The B-17 was one of the last of its type built and was accepted into USAF service with the serial number 44-85784 in June 1945. 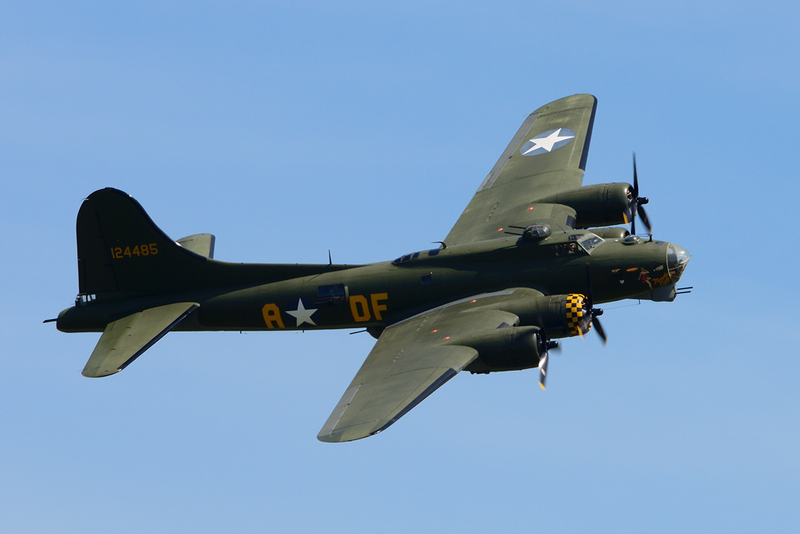 By this time the European war had ended so Sally was modified to become a training aircraft with the designation TB-17G. From November 1945 Sally B was based at Wright Field Ohio. Sally B was operated by the 2750th Air Base Group and was modified again to become a test aircraft with the designation EB-17G. 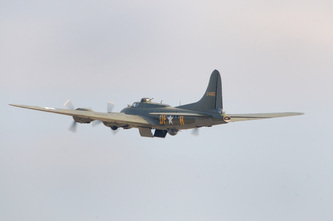 The aircraft was involved in a number of tests of which little has come to light. In 1954, with her test days over, the B-17 was returned to standard configuration at Hill Air Force Base. In November 1954 Sally B went to France to fly with Institut Geographic National (IGN). The IGN flew a number of B-17's on survey and mapping works. 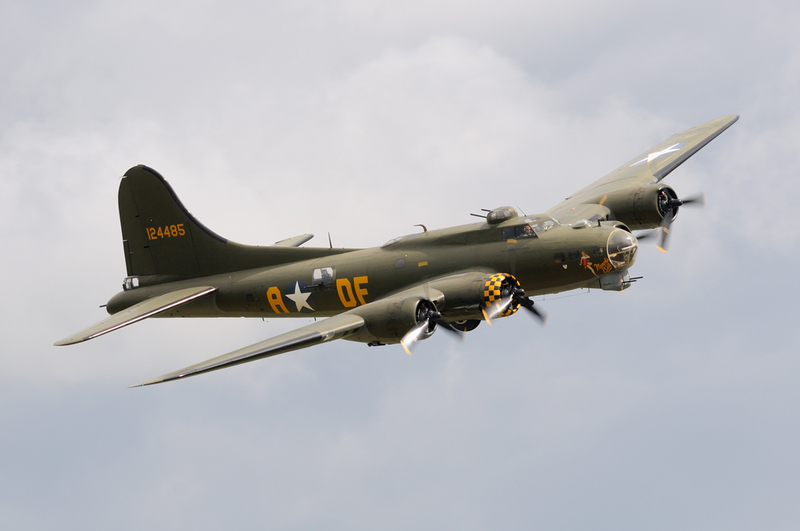 This continued until the 1970's when the B-17's were retired as spares and operating costs were becoming too high. 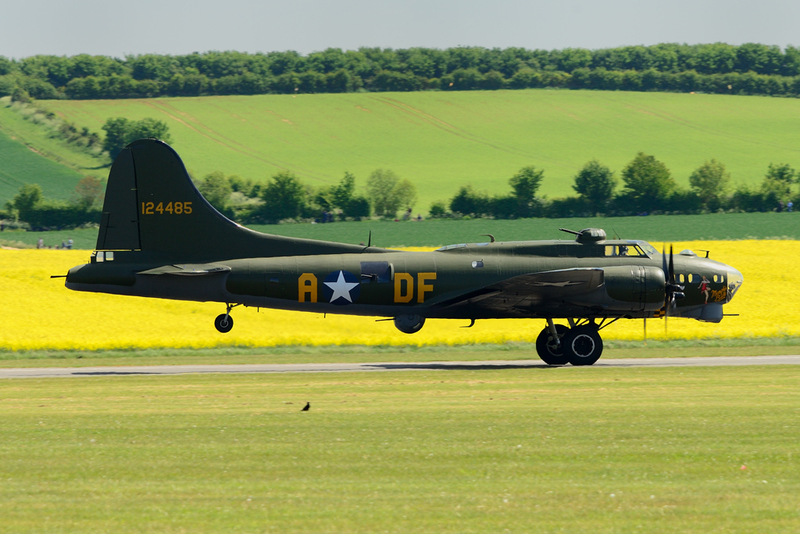 In March 1975, businessman Ted White brought the B-17 to the UK and she was based, as now, at Duxford. 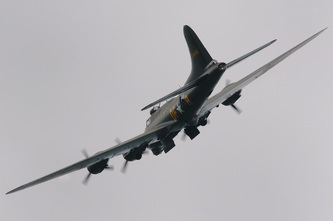 The aircraft's first public air display was at the 1975 Biggin Hill Airshow. 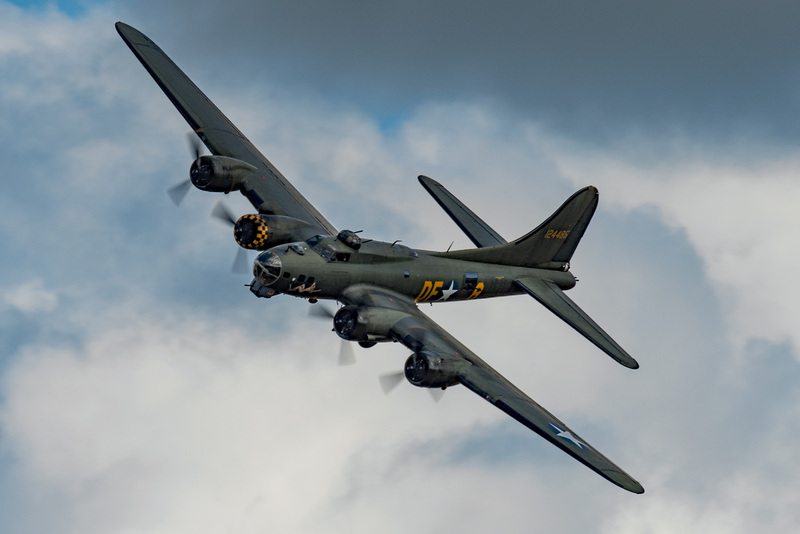 In 1980 Ted White and Elly Sallingboe formed the Sally B Supporters Club which over the years have proved to be the lifeblood in the operation of the aircraft. In 1982 tragedy struck when Ted was killed whilst flying a Havard in Malta. 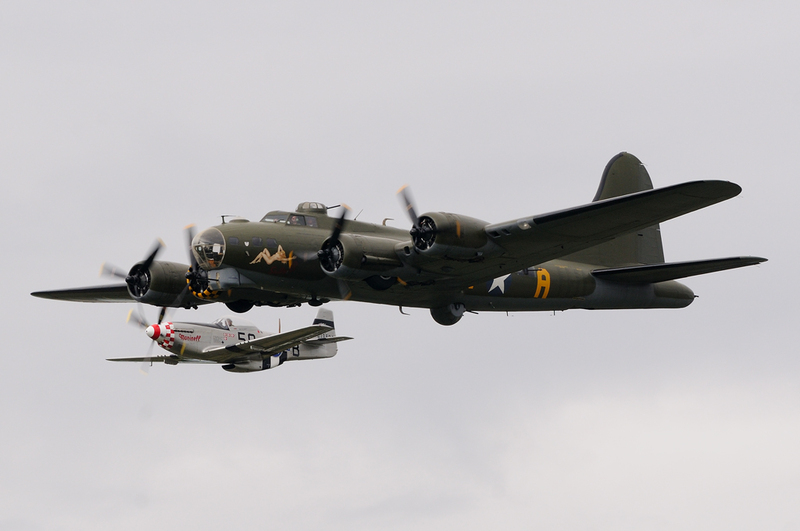 Elly and the team were devastated by this but continued to fly the B-17. 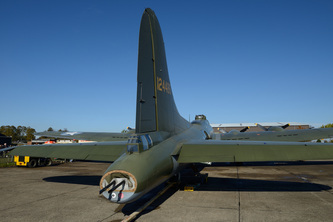 In Ted's memory the B-17's starboard inner engine cowling carries the same black and yellow chequered markings, as were applied to his Harvard. Despite major setbacks such as problems with the engines and lack of funds, Sally B today continues to fly. 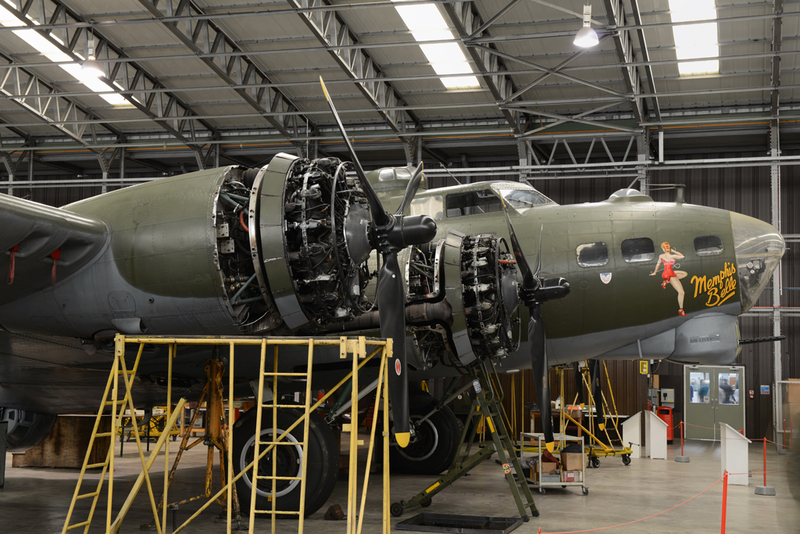 Charitable status has opened up new areas of funding which has kept the aircraft in the air. 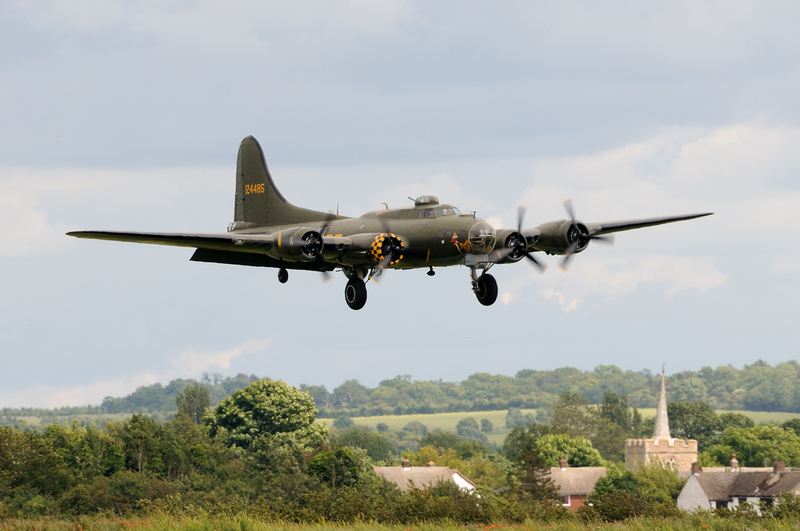 In March 2000 the B-17 Charitable Trust was formed. 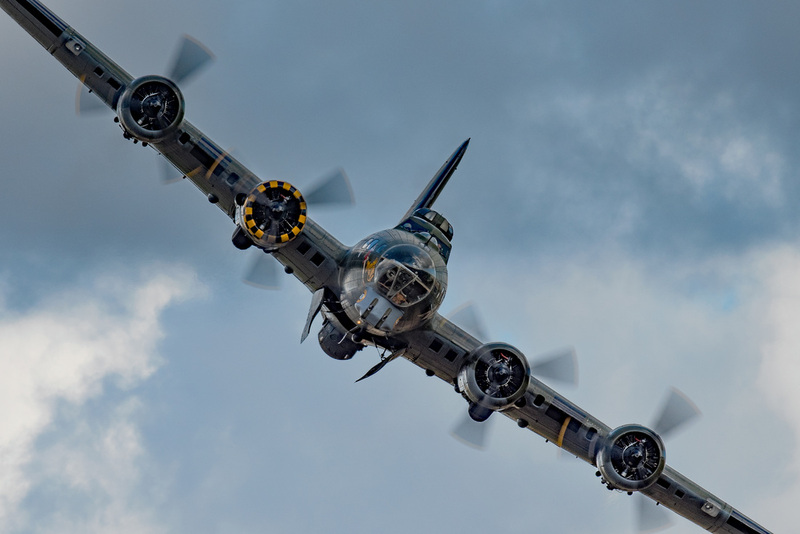 It must be remembered the constant effort that is put in by the Trust, to allow this flying memorial to continue to grace our skies.